David Chiarelli - Latest Edition! : The Free Richard Brock Petition Link Below! We need a live link to the petition. Some dastardly individual released this petition to the blog before the OECTA justice committee had finished watering it down (editing it). Of all the dispicable deeds! Shades of Snowden! The live link is highlighted in large blue type set. I have included it twice now, at the top and further down the page. I have removed the petition graphics as they were probably causing some confusion. Hope this helps! I've commented on the different petition drafts below under the next blog. Let's keep moving forward, the momentum over the past week has been great. Also keep the guest blogs coming, but see my notes there regarding submissions and scheduling.
" I WILL CHOOSE FREE WILL"....RUSH. Removing a democratically elected Unit President is wrong and goes against the wishes of the Halton OECTA members who voted for him. Also, a Discipline Board/Panel with no appeals process to its decisions is dangerous in our union and our country. Add to that the fact OECTA imposed the worst contract ever on members with the MOU and then took away each member's right to vote on it before it was binding, and OECTA members need to ask, "How many more times is Provincial going to show me my vote doesn't matter to them?" 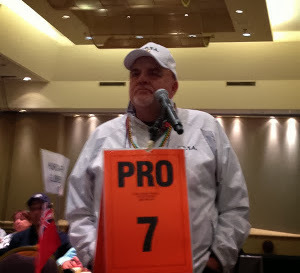 Sign the Petition to FREE RICHARD and FREE OECTA MEMBERS from the last two years of destructive Provincial leadership.